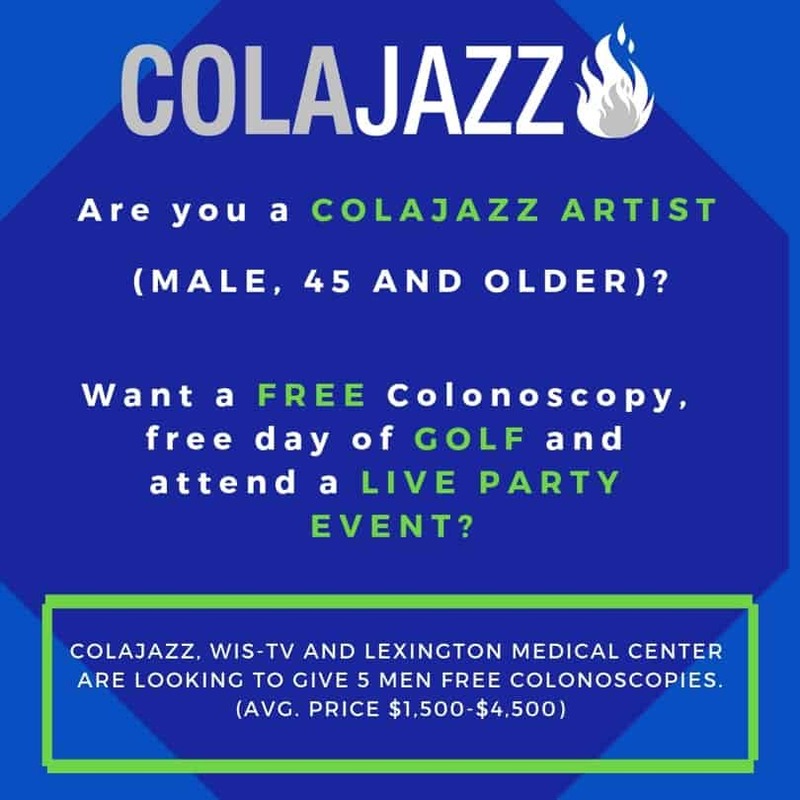 ColaJazz is partnering with Lexington Medical Center, The South Carolina Gastroenterology Association, Consultants in Gastroenterology and WIS TV to offer 5 colonoscopies, at no cost to Columbia Jazz community males 45-years and older (African-American) or 50-years and older (all others) who are uninsured. Colonoscopies can cost in the thousands and we’re proud to be able to help 5 males in our jazz community. Please let us know if you or someone you know are interested! We are specifically looking for men who have NEVER had a colonoscopy because your first colonoscopy is the most important one. 1 FREE preparation party at Hotel Trundle with WIS-TV interviews, fun, live jazz music, poker, craps and roulette and more fun! We’re breaking down the fear and stereotypes of colonoscopies and saving lives! The prep is the worst part of the colonoscopy, so we are turning it into a party where we can support one another and have some great laughs together. Help us help our community and check out our Outreach page.